New Executive Committee elected during summer 2016 Board Meeting in New York. Dr. Carlos Vargas has been elected as new HETS Chair. 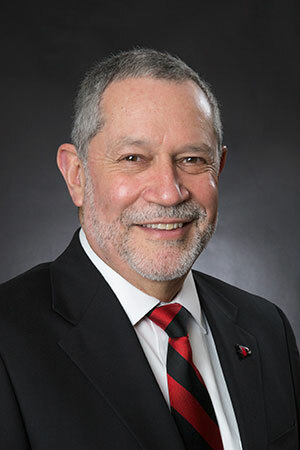 President of Southeast Missouri State University, Dr. Carlos Vargas-Aburto, was elected as new HETS Chair during the annual summer Board Meeting celebrated at Lehman College, NY on June 28-29, 2016. Collaborating with Vargas as HETS Board of Officers will be Dr. Gloria Baquero, President of National University College reelected as Vice Chair; Mr. Manuel J. Fernós, President Inter American University of Puerto Rico, elected as Treasurer; and Dr. David Gómez, President, Hostos Community College (CUNY), who will serve for the first time at the Executive Committee, as Regional Representative for the East Coast. Additional reelections includes; Eng. Gladys Nieves, President of EDP University as Secretary; Dr. Carlos Morales, President of TCC Connect at Tarrant County College in Texas; and Dr. Lorena Meza, Vice President for Student Affairs, California State University San Marcos as Regional Representatives for the Central and West areas respectively. All appointments started term on July 1st, 2016 for two years as stated in HETS Bylaws except for the Vice Chair, Secretary, Central and West Regional Representatives which were reelected for a one year term. To learn more about recently elected HETS Board Officers please visit: Meet the Executive Committee.